You'll feel regal as hell in the ROYAL HAHNESS, a masterful combo of HAH's signature mesh and lace. Comfort is key in this loose-fitting V-neck maxi dress with luxuriously voluminous sleeves. An elastic waist detail with adjustable ties allow you to create a perfect fit. This dress comes unlined, but pairs beautifully with either of our lace slips. Fits true to size... these HAHTIES are wearing size XS/S. 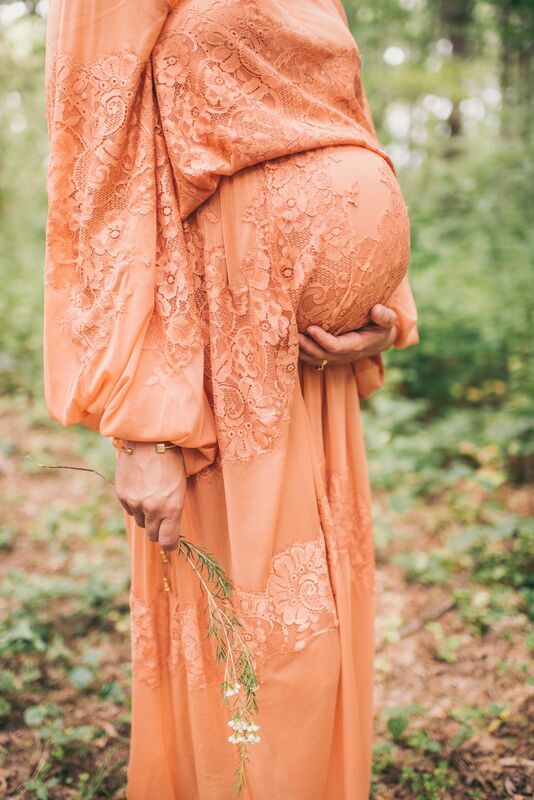 I purchased this for a maternity photo shoot! The fit and color were awesome! I think the color looked great outdoors in a New England fall. The great part is the dress can be worn after baby as well! I really like the long sleeves, as you don't always see this detail! So in love with this easy going dress and the perfect fit.